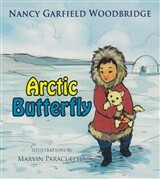 Nancy Garfield-Woodbridge began her distinguished career as an author and educator at an early age. She has been writing since childhood, and was once the editor of her school newspaper. In pursuit of her passions, she obtained a Bachelor of Arts in literature from Bennington College in 1955, earning a full-tuition scholarship, and a Master of Science in education from Hofstra University in 1972, where she completed postgraduate work in 1973. Ms. Garfield-Woodbridge also became certified to teach kindergarten through eighth grade, and English to grades seven through nine. While Ms. Garfield-Woodbridge was at Bennington College, she worked during her winter and summer vacations as an editorial assistant at the Wenner Gren Foundation for Anthropological Research. There, she contributed to the “Directory of Anthropological Institutions” and “Man’s Role in Changing the Face of Earth.” After graduation, she served as the picture editor for “Forbes Magazine,” in 1955 and as the editor-in-chief of “The Gifted Child Magazine” in New York City from 1956 to 1958. With her invaluable degrees and professional experiences in hand and a strong desire to fulfill her dreams, Ms. Garfield-Woodbridge acquired numerous positions as a writer and educator over the years. She launched her first children’s book, “The Tuesday Elephant,” illustrated by Tom Feelings and published by Thomas Y. Crowell, in 1968. In 1970, the book she wrote on Thailand, “The Dancing Monkey,” was published by G.P. Putnam. She was director of special projects for Girl Scouts of the USA in New York City from 1973 to 2000, where she oversaw books like “Worlds to Explore,” “From Dreams to Reality,” “Juvenile Justice,” and “Careers to Explore.” During that time, Ms. Garfield-Woodbridge worked on more than 60 publications, as well as grant requests like the U.S. Department of Education’s Careers to Explore and From Dreams to Reality programs. She also held the titles of research associate to the vice president and editor at New York Institute of Technology in Westbury, N.Y., from 1972 to 1973, and vice president of Information Retrieval Systems in Great Neck, N.Y., from 1958 to 1972. Since 2000, Ms. Garfield-Woodbridge has been a children’s author. Her books include “The Tuesday Elephant,” “The Dancing Monkey,” “Poems in Exile,” and “A Bouquet of Fairy Tales.” Further, Ms. Garfield-Woodbridge has penned the likes of “Hilary and the Secret Skulls,” “Stories from Around the World,” “More Stories from Around the World,” “Arctic Butterfly,” and “The Islanders.” Her books “Journey” and “If I Had $1500, I Would Clean My Karma,” were written pseudonymously. Most recently, in 2018, Ms. Garfield-Woodbridge wrote six books: “The Magic Paintbrush,” “The Rainbird,” “Shanti Means Peace,” “Gideon’s Dreams,” “The Honey Hunt,” and “Moonbeam Flowers.” Her newest piece, “Suns of Darkness,” is to be published in 2020. Keeping up with her field, Ms. Garfield-Woodbridge is a member of The Academy of Poets. She is also affiliated with The Author’s Guild, Milford Fine Arts Council, and the Society of Children’s Book Writers and Illustrators. Over the course of her career, she has utilized her extensive knowledge in roles as a speaker at the Governor’s Conference on Juvenile Justice in Baton Rouge, LA, as a speaker for the vice president’s Task Force on Youth Employment in 1979, and as a presenter at the Education Commission for the States in Denver in 1979. In recognition of her achievements, Ms. Garfield-Woodbridge received the Dr. John C. Sevier Award for Service to Youth with Disabilities from the YMCA-USA in 1989, a scholarship from the Breadloaf Writers Conference in Vermont in 1967, and has been featured in numerous volumes of Who’s Who of American Women, Who’s Who in the World, and Who’s Who in America.